When do we recommend Non-Surgical Rhinoplasty? Non-Surgical Rhinoplasty is a procedure whereby a nose’s appearance is changed with the application of either a Dermal Filler, also known as a Tissue Filler, embedded Threading or a combination of both treatments. Have had trauma to the nose and surgery may not be an option. Being too wide either at the bone area or where the cartilaginous area is too broad. The Tissue Filler is used to enhance the appearance of the nose by attending to all these issues except the width or size of the apertures of the nostrils. This indication is taken care of with the embedded threading. Often a combination of the two treatments will achieve the desired effect and your clinician at The Face and Body Place will guide you accordingly. The ultimate effect is to create balance in the nose itself and harmony with the rest of the facial structure. The treatments are highly effective in achieving this without the risks and downtime associated with surgical rhinoplasty. Once numbing cream has been used to numb the skin for enough time, our Physician will inject the Tissue Filler into the area of the nose that needs reshaping. The use of Tissue Filler in the nose requires an artistic eye to create the correct shape for each different patient. There are very few tissue fillers that should be used on the nose. With Threading, a thin thread is placed under the skin and through the soft or cartilaginous part of the nose to narrow the opening of the nostrils. In doing so, the opening changes from a flattened to a more rounded appearance and the effect may also lift the tip of the nose. Tissue Filler’s are invaluable in this instance to give the nose overall balance. 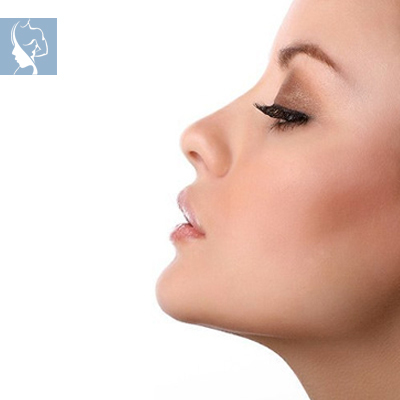 The results of non-surgical rhinoplasty are visible immediately. There may be a small amount of swelling and bruising, but this settles within a short period of time. The information and advice published or made available through the website is not intended to replace the services of a physician or health care professional acting under a physician’s supervision, nor does it constitute a doctor-patient relationship. Each individual’s treatment and/or results may vary based upon the circumstances, the patient’s specific situation, as well as the health care provider’s medical judgement and only after further discussion of the patient’s specific situation, goals, risks and benefits and other relevant medical discussion. Testimonials made by any person(s) on this site are not intended to substitute for this discussion or evaluation or as a guarantee as to outcomes. Examples of treatment outcomes in this website are not intended to convey any warranty, either express or implied, as to outcomes, promises or benefits from treatment. Whether to accept any treatment of a patient should be assessed by the patient as to the risks and benefits of such procedures and only after consultation with a health care professional. Center for Advanced Medicine, 2nd Floor – South Campus, 13 Scott Street, Waverley JHB.